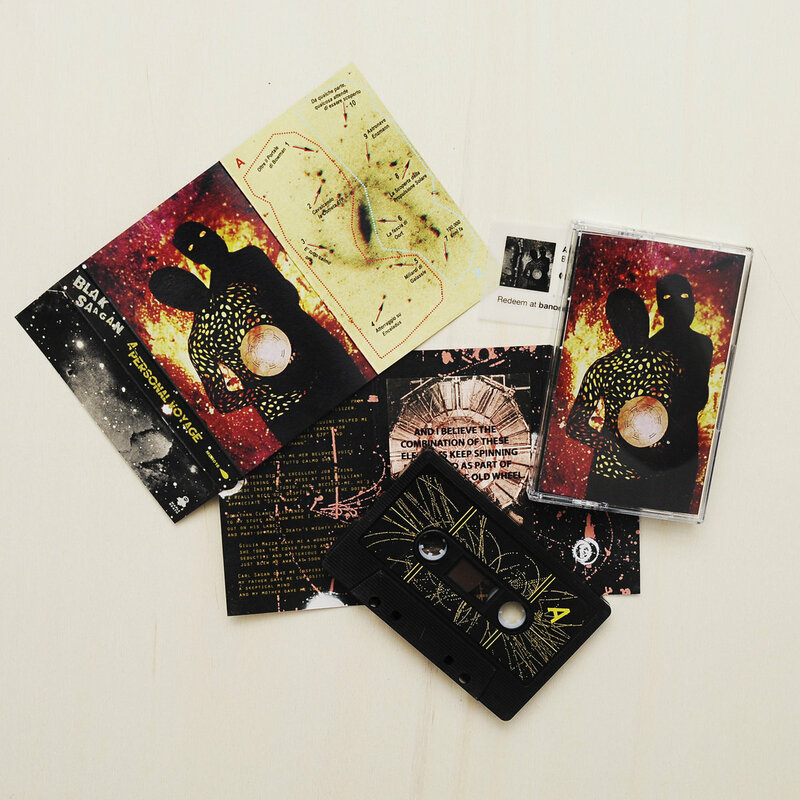 A Personal Voyage is a limited C90 space tape, hand assembled, featuring the stunning photography and artwork of Bologna artist Giulia Mazza spread out on a triple J-card inlay printed on 200g pure Italian paper and comes with a download code. Includes unlimited streaming of A Personal Voyage via the free Bandcamp app, plus high-quality download in MP3, FLAC and more. Light years away, skyrocketing through an unexplored dimension of organic textured ambient compositions, a flare is rising, hovering over the Venetian lagoon: Blak Saagan. 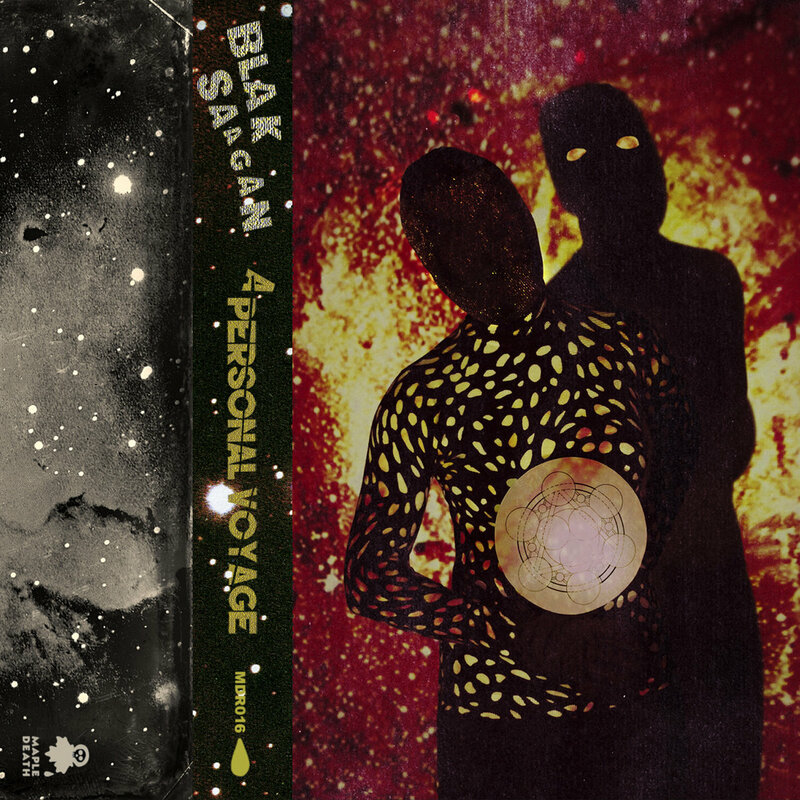 A Personal Voyage is Blak Saagan’s debut, his first journey into obscurity, 90 minutes (!!!) of music dedicated to the ongoing discovery and exploration of celestial structures in outer space, directly inspired by the work of cosmologist and science popularizer Carl Sagan. 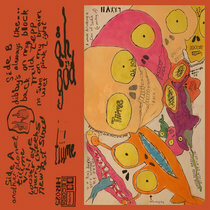 Recorded at home during sleepless nights with just the use of a Farfisa Vip 202 R organ, Roland TR-606 drum machine and a Siel Orchestra synthesizer, A Personal Voyage is a deep fully realized mind trip, a trailing echo that does not need words to deliver clear images and project unknown narratives. While foreign labels have been reaping the benefits of the rediscovery of Italian 60s/70s psychedelic soundtracks, Samuele Gottardello aka Blak Saagan has been crafting his own library music, the real deal, his own detailed OST’s merging ambient, drones, rhythmic electronics and an uncanny ability to create ritual hypnagogic experiences. 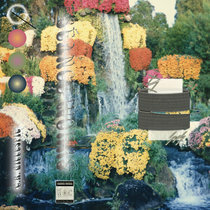 Italian maestros Alessandro Alessandroni, Egisto Macchi and Piero Umiliani’s ultra terrestrial approach is definitely part of the ride but what elevates the voyage is the pulsating Kraftwerkian beat of ‘Miliardi di Galassie’ carrying Carl Sagan’s snapdragon shaped vessel Space of Imagination. ‘Cavalcando la Cometa 67P’ is the most detailed account of the Rosetta mission, and its encounter of the last comet that passed close to the Earth, that you’ll never read. You’re just left imagining the Philae probe attached to the comet hurtling trough space, forever. ‘Atterraggio su Enceladus’ planetary music celebrates the magnificence of Saturn’s sixth largest moon Enceladus and its thick shield of ice under which scientists assume an alien sea lies. A motorik Cluster pulse carries ‘Astronave Enzmann’ mapping out the visual architecture of what could have been a giant interstellar ark driven by huge reserves of deuterium, an epic starship that only existed in Dr. Robert Enzmann’s eyes in the mid 60s. No more spoiling your trip, get your mind innit now! 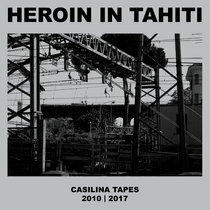 A Personal Voyage was mixed and and mastered by Matt Bordin at Outside Inside Studio, one of Italy’s last standing vintage outposts of pure rock’n’roll, garage, psych, occult, freak jazz and everything in between (Mark Sultan, Black Lips, Father Murphy, Squadra Omega, King Khan, Konstrukt, Krano).